WhatToNameIt: Doctors of the future??? I happened to go to Kilpauk Medical college as a guest this evening. Didn't know it was a light music competition that was in progress already but I figured that out when I went there. I first found it quite strange that there was a separate enclosure for us, on a higher level and found it weird facing the back of the audience. Roshini, Naresh Iyer and Mathangi joined a little later. But even as the different bands were performing some students kept throwing rockets and paper balls at the performers. I found that highly irksome. It was almost like dejavu, when I was judging an event at Stanley Medical college 4-5 years back. I remember that the audience kept throwing branches broken of the campus trees, stones rolled in paper and paper rockets at the singers during a solo competition. I remember requesting the audience to maintain a little decorum. Even my mother kept requesting the 'audience' That did not happen. I said if this kept going I would have to walk out of the premises. And that I did. I apologized to the contestants, I knew most of them from previous meetings and said they were better off doing anything else than take part in that music competition at SMC. I saw no reason why those contestants should subject themselves to this kind of a treatment. The SMC students said it is not their fault and the students from other colleges are to be blamed. But then some did say that students of the medical college were also part of the troublemakers. I wonder how they got in by 'merit' or whatever it was, into these colleges. That was the last time I set foot there. I was wary of going to KMC but did because our family doctor recommended it. The students who were part of the audience kept throwing paper rockets and other throwables at the girls in particular while the authorities kept watching. And as I walked onto the stage disgust had somehow overtaken me. Someone threw a rocket on me and I saw the boys who were doing it. KMC has to say that the students are from another college. I frankly do not care. Who is to know where they are from? They all take the name of college in the neighbouring area. Though the students apologized, they said they had brought in police protection for this very purpose. I don't know what purpose it served. But 5 years after the SMC debacle KMC is pretty much the same. And if these guys who are doctors in the making were to allow and even bear with this bull crap happening on campus I wonder what all they will allow to happen to a patient. Or would it change then? Would responsibility happen? If KMC or any other college cannot handle the behavior of students no matter where they come from, then they might as well not organize such events and allow public insult of girls who come to participate. At least as long as people do not know of this, there will at least be an opinion that KMC and SMC are 'safe' places to be in. Why organize any such congregation and ruin a good reputation even if it is misplaced. Ignorance, in this case, would definitely be bliss. Ramachandra Medical College and even the newer Chettinad Medical College seem to run a tight ship. And yes it does make a lot of sense to me now that educational institutions are strict. When someone becomes a part of a mob he/she could do anything and everything. I only have one prayer now. That nobody should ever come across the kind of unruly men (especially if they are students of medicine) that I came across in KMC and SMC. Definitely felt more sorry for the nice student coordinators I met. Sorry for the kind of people they are exposed to. And the kind of environment they are in. God help my country. Chinmayi, This happens in almost every educational institution because a handful of miscreants among the students indulge in these activities because they are very influential and the rest have to grin and bear it!. This only shows how our institutions are slowly spoiled by these hooligans masquerading as Students. Only a strong state administration or police can solve this problem. Till then it would be wise to avoid visiting such functions! I have to admit the fact that I read this post after finding your latest tweet. It is really sad to know about the unruly behavior exhibited by the students. Education is supposed to impart more moral & ethics. I think you have witnessed the lack of those in KMC's audience. Socio-economic conditions also play a part. I am unable to recollect the word to describe the quality of being submissive/ignorant/jealous. When such people get an opportunity to experience more freedom and more security such behaviors are exhibited. These people, though deemed normal, are to be counseled properly. My two cents: People are precious. The systems are to be blamed and not the people. The socio-political establishments (state govt., central govt., or whatever..) have to make sure that they spend our efforts and our money in helping us reform/overhaul our systems. This is happening because the quality of education has gone down to a great extent. In our times it was a matter of pride and respect to go to a college. Nowadays it is shown as a means to indulge in eve teasing, playing pranks with girls and doing cheap things that are shown in Movies. Cinema has simply ruined the quality of education by subjecting the illustrious Professors and Teachers to ridicule by these bad elements. I am scared to send my kids to a college. Mathavan: Dont think its off-topic. And yes makes sense! Soin: Then you might as well get professionals to do a pro-show for you. Why call students from other colleges knowing fully well that they wont be able to perform upto your high expectations? Or better still, if you dont want slow songs, why not give them a list of songs and instructions? But its interesting to know that you find rolling of stones in paper and throwing them at people 'fun'. But yes, maybe all this sort of great treatment that college goers mete out to students from other colleges, after INVITING them to attend their cultural events is fun. Well, if you call someone home and if you don't like what they are saying to you, are you going to kick them out, quite literally? Aren't we taught to maintain a sense of decorum and decency? But I'd rather stave off, and wherever I can I ll tell most people who don't cater to this thought to stay away. And slowly students with some sense left in them wont go to these events at all. The remaining like-minded, stone throwing, egg-throwing gumbal can be together and exalt in each other's company help in the development of personality. But let me know which college you go to, if your collegemates are of the same mettle as you describe them, then if there is an invite, I ll make sure not to come. Oh...it's happening in Medical college too....I used to think that it happens only in Arts, Science and Law colleges. Now a days with the tag name of Students, these people are doing Gang War, Eve Teasing, Politics, Casteism etc. I don't where this is going to end....In the name of Eve Teasing some people really do robbery...I've experianced it myself(during 1996) while I went to get the application form in few colleges. The senior students would just grab your purse and the take all the money from you. I saw them doing this even to the girls...grabbing their handbag. Unless we have strict rules and punishment, this is going to get worse....I think it had already. It all happens.... Our education system fail to teach the meaning of the words "MORAL" and "ETHICS". While what happened in the colleges are bad, i do not subscribe to your point that "it makes a lot of sense on how educational institutions are strict". In fact the very reason that educational institutions are strict is the reason for such a unruly behaviour. Freedom should be way of life. Whenever people who are brought up in a strict environment and when exposed to a slightest of freedom they tend misuse that. My organization provides lots of freedom to employees. I see lots of newcomers fresh out of college tend to misuse that. Over a period they mature. Also there are students who come from a liberal background behave in a mature manner. Change will happen only when education becomes interesting to students. Teachers should strive to make classes energetic and engaging. As long as educational institutions tries to hide their inability to provide quality education in the name of strict rules, these things are bound to happen. Even God can't help this one ! This is pretty much the same situation in every other college Chinmayee. The guys do it in the name of fun. I cannot understand what fun they derive out of this meek act. But all are not to be blamed. There are some good souls who would want thier talent to be exposed and do take part in spite of all this. Well, the authorities are to be blamed. They should impose strict rules and direct student bodies to act sensibly. Walking out will not prove futile because, today if it not you, tomorrow some one else would come to judge and that's the reason why these students take things for granted. How truly I wish that those students who play pranks are given the responsibilities to handle such events! Then they will undesrtand the difficulty in organising such events and all the hard work that goes into it! That would be a fitting punishment for these crappers! 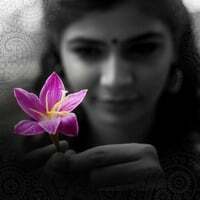 Chinmayi, Noticed that a lot of your recent articles has negative innotations. There is not any point in rationalizing someone throwing stones and i am not going to do that. Eventually they all grow up and become better. So, you don't need to worry on that. And i found it funny on how you relate academic brilliance with self discipline and social behaviour:)- Whether they come by merit or else by paying money, it has no relevance. I just hope that you only mentioned about "money" when you said "whatever it was". You really ought to have done that! Soin: I have seen more than that paper ball and rocket stuff. I think there should be bouncers at such events too. Events abroad have this facility. Time it came in India. Saravanan: Its actually also mostly inculcated at home and after a point it is upto you to choose your path. Enough of blaming the educational system. I do not cater to a lot of the thoughts of the educational system in India Today but I charted my own course. And so did several others like me. Life gives you enough opportunities to educate ourselves and here we are saying its the fault of the educational system/government/minister/politics/poverty/pollution. We ll soon run out of excuses. Successful people came up through their own decision and determination. Rsrirams: Freedom should be a way of life? Yes. But as I have said before, I repeat, your freedom to swing your hand stops where my nose starts. No one is free to do anything and everything he wants. If you think every is 'free' you need to wake up and smell the coffee. I was brought up in a strict environment. But I don't run berserk. And to me I think strictures need not be the kind that is Hitler-ish. I think MOP, Stella and several other educational institutions are strict. And though there might be bad apples everywhere I believe inculcating discipline has to happen in the institutions. Some get it automatically. In some it has to be spoonfed. And in some it has to be forced. But it is for a greater good. And there will come a time when the same students who complain will thank them. I thank the strictest teacher in my school because I have learnt the most from her. Also from the ones that are lenient. But she was the best. And work environ is highly different. Here there is the scare that you ll lose your job which is equal to money if you don't fall in line. That money will get everyone to behave. Or at least act as if they are. Janani: I have not come across that in any other college so far. KaKaKaKaKaKa: If I feel strongly about something then I will voice out. I dont take nonsense. As for the academic brilliance: in my short experience, I have found those excelling in academics to be too busy in improving themselves and learning than subject themselves to groups, people, 'friends', that might do what is generally considered unfit or generally they are not the ones to waste time. I don't think someone who is academically brilliant would be part of a mob roughing up someone, or vandalizing buildings. 5 la valyaadhadhu 50 la valaya poradhu illa. good if it happens though. Maybe Better late than never. And actually there was no thought behind "whatever it was" when I typed it down. I would probably delineate that as influence, status or money now. But You, my friend, seemed to have derived a lot more negativity from a simple line than I could even dream of :) And no I am not the least bit worried. Why should I be? Perhaps the hooligans in question or their families/college should worry. KMC is not my grandfather's college. Vignesh: I am reading this comment again. As I have not come across this so far. I have nothing to say against with doctors. I said that if these stone throwers were going to be the doctors of the future then I don't want to fall sick or come across these docs. Peer pressure? I think that's highly overrated and borrowed from the western school of thought. So much so that its become such a great excuse now. The only way people can cross this peer pressure business is through a solid support system at home or a guide. Karthikeyan: Seems like similar story here between Loyola and Pachaiyappa's. hear a lot about it too. Well if it happened then it has. There are other festivals and better things to do. A college festival is not the be all and end all. It wont seem all that important to you after you come out of college. There was a huge roar and applause and the audience(students)then dint throw any paper rockets after that. I donno really whether to appreciate the tactic/cleverness/easy go character of SVS or to worry on the behavior of the students. But a thing that is sure from the nowadays students are that they are no more cultured as it use to be previously. So where does the fault lie? @Karthikeyan - I am from NIT Trichy. It is sad to know that SASTRA was banned from entering FESTEMBER. Your allegation that NITTians attacked other NITTians seems baseless. There are lot of cult fests going on in the NIT Trichy's campus. There is lot of opportunities were girls and boys get to interact in the campus. I do not say the culprit must have been a SASTRA student. But I say that the chances from NITTians exhibiting such a behavior is remote. Whosoever that did this will be brought to justice. @Mathavan @Karthikeyan Guys.. Am from NITT too. The problem which you guys mentioned wasn't exactly an assault on girls. it was some minor conflict between the students of the two institutions. it something pretty normal between rival institutions and happens quite often anywhere. A healthy rivalry without physical encounters is actually acceptable to an extent and it has been tha way for years. It was just blown out of proportion by the college administration and the previous year passout students. I'd say that there is no point in playing the blame game.. and it is too bad to do it on someone else's blog.. banning each other in cul fests and tech fests is a thing which shouldn't have been done. SASTRA being in the vicinity of NITT sent hundreds of students for such fests and had a huge chance of winning the fest every year. sad not to have you guys this year. hopefully the situation improves over time - we too would love to see you guys in our campus. @chinmayi - a college fest may not seem much important once we are out of college. but when we are in college it is one of the things which all of us look forward to. all through the year we work diligently in order to make it a roaring success..
We take every step to avoid incidents like what had happened and it indeed pains a lot to see such unruly behavior within campus. I am a Student of a Medical college. I have just come back from attending an inter-med cults at cbe. And I performed in my Band too.... Thank god, ppl did not behave this way!!! But I should also appreciate the security personnel over there. They did not allow the students to get out of the way even for a second. Kudos to them. So When the security ppl r working properly the students won't misbehave. I would say the security r to b blamed too when things go wrong. The students always try to be mischievous. When they r stopped right at the beginning, they won't grow to throw stones at the performers n even the judges!!! I mean the harmful intent is always alive in ppl's minds. n when they r not stopped at the beginning itself, they happy times end!!! now a days d values taught in most of d skools r forgotten once d students enter coll....coll students do all dese nonsense 2 show tat dey r cool and fun loving!!!!hell!!! !god knows where it will lead 2!!! don't judge those guys (whoever threw). u are god to judge them and analyze what they may or may not become. u made a choice to attend, express ur disgust but still don't judge. I think this is the effect of people getting into colleges based on quota systems and not based on merit. Unless you know the struggle that comes with achieiving something through hard work, how can you respect someone else trying to do the same? I Think you people didn'''''''''''''t see the bus day celebrations of some art's colleges in chennai ...... its really disgusting and it's an act of hooliganism & rowdyism. These things should be banned and chennai should be made more safer place to live.. For that strict rules & regulations to be framed & enacted.